As Ann said in her introduction we met at Tonbridge whilst taking a local history course that sadly I did not complete. However, like Ann I have studied with the Open University and attained a BA in the Humanities (history). I am currently working my way through a correspondence course in family history with the Institute of Heraldic and Genealogical Studies in Canterbury. This is taking me a very long time as we are allowed to work at our own pace – fatal. I am determined to finish it however and Ann is always full of encouragement to keep me working away. I thoroughly enjoy family history and all the social history that goes with it, I find it a really absorbing hobby. I also enjoy visiting art galleries, the theatre and listening to music. 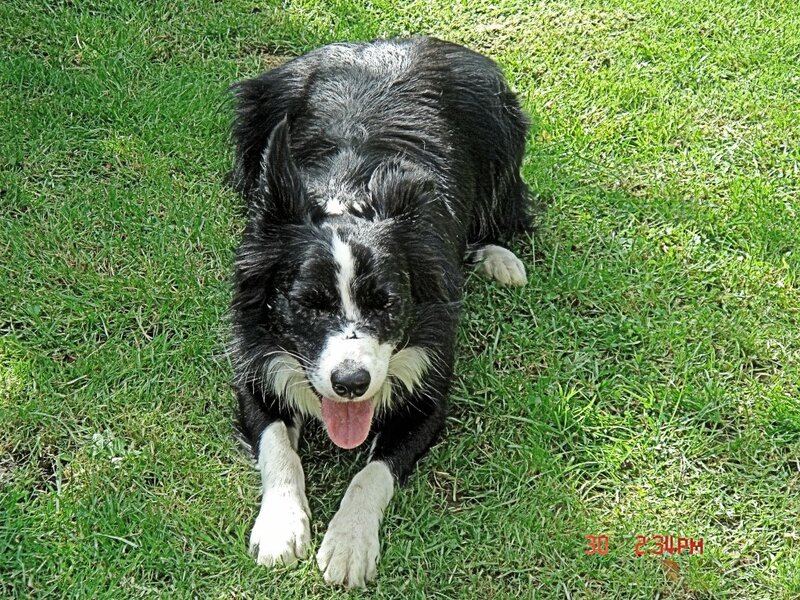 I have a small border collie who is about three years old. She was rescued by the RSPCA two years ago and she is a really good companion, if little lively at times! She makes sure that we go for at least one walk each day and this is something we both enjoy whatever the weather. You can click on the thumbnail to view a larger picture.